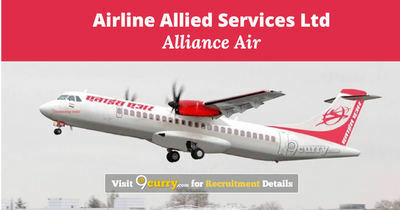 Pay the Examination Fee through Demand Draft in favour of "Airline Allied Services Limited" Payable at New Delhi. 1. Graduate in any discipline (minimum 3 years' duration) with the ability to speak Hindi, English and conversant with local language. 2. MUST possess valid BCAS Basic AVSEC (12 days' new pattern) Certificate. The selection will be on the basis of Medical & Written examination. 1. Age proof and Graduation mark sheet and Degree. 4. Income and Asses! Certificate in case of Economically Weaker Sections. 5. Two (2) recent colored passport size photograph.